Q: My lawn is mostly weeds. I recently removed a large bed of English Ivy that surrounded two dogwood trees and bordered the driveway. 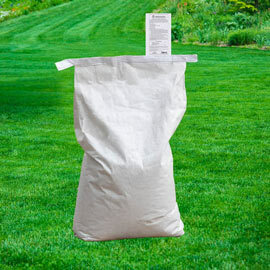 I want to plant grass seed this spring but am not sure which type. Can you give me some advice? A: Well, no one wants to hear this, but Spring is not the best time to sow the seed of a cool-season grass (the kind that stays green over the winter). Two big reasons: 1) Spring soils typically stay too cool for too long; and 2) Summer heat comes on much too fast after they finally do warm up. The seed of the cool-season grasses that people normally want to grow in the mid-Atlantic and Northeast—like bluegrass and fescue—don't germinate until the soil temperature gets to be around 65 to 70 degrees F. (as measured four inches deep). But because Nature doesn't like you, crabgrass and other weed seeds germinate at around 55 degrees. So by the time bluegrass or fescue gets growing, the weeds have had a month long head start. Not so much. The cool-season grasses we use for lawns come from parts of Europe—mainly the UK—where the weather is generally on the cool side. American summer heat can stress these grasses greatly—especially when they're only a month or so old when it hits. So typically by the time you can get cool season seed to germinate in the North, summer heat burns it up. But if you instead wait until the recommended timeframe to sow cool season grass seed—around mid-August through mid-September in most Northeast and mid-Atlantic regions—the seed will sprout immediately in the deliciously warm soil. Then the young grass will have a chance to 'grow up' in the cool above-ground conditions it loves. Back to late- August sown cool-season seed: The hours of daylight are getting rapidly shorter, the nights are getting reliably cooler, and the baby grass is growing up in perfect conditions. These grasses don't mind winter; and then Spring is just as wonderful for them as fall. So by the time they have to face their first real summer, the grass will be almost a year old and well-established. Cool-season lawns sown in late summer are always going to be heathier and much more sustainable than ones sown in Spring. But you can lay cool-season sod in the Spring. 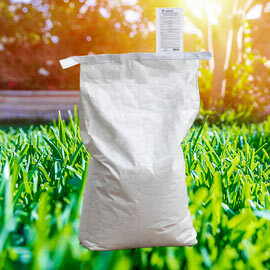 Sod is much more expensive than seed, but it's a great choice for small 'postage-stamp'-sized areas or if you have a lawn that needs to look really good really fast—like when you're prepping a home for sale. And Spring is when you'll generally find the best quality sod for sale. But installation of sod is brutally hard work. Then, when it does, she can spend the next few months really getting rid of it, and then have the surface properly prepared for seeding at the correct time of year. Although we don't want to think about it, August isn't really all that far away. And most people don't budget nearly enough time for preparation. The best, long-term, sustainable lawns were carefully planned and planted. I'd advise her to try and really finish off the ivy over the Spring, and then have some premium topsoil or compost delivered and spread to act as a seedbed. The roots of the new grass are going to need at least a little bit of decent soil to grow in before they start bouncing off tree roots. Okay; let's review the options for her and the thousands of others in this situation. First, if you live in a warm climate, you're in luck, because warm-season grasses like Bermuda and St. Augustine should be installed in the spring—as should Buffalo grass, a warm season native grass that's a great choice in some areas in the central plains states. And people anywhere can install zoysia grass plugs in the Spring. Zoysia—the warm-season grass that can survive the coldest winters—makes a great lawn. You just have to be okay with it going tan and dormant from late fall to early spring. If you can't deal with a lawn that isn't green most of the time, we repeat that the best quality sod is available in the Spring. But what about people who have a terrible looking lawn but can't afford sod…? Our resident turf grass expert Dr. Nick Christians says to just cut whatever you have at three inches high and start planning to do a really good job of installing a new lawn in August. Then you'll need to level the area, spread the compost and topsoil on the surface and level that out before seeding. Do it right and this should take until August!